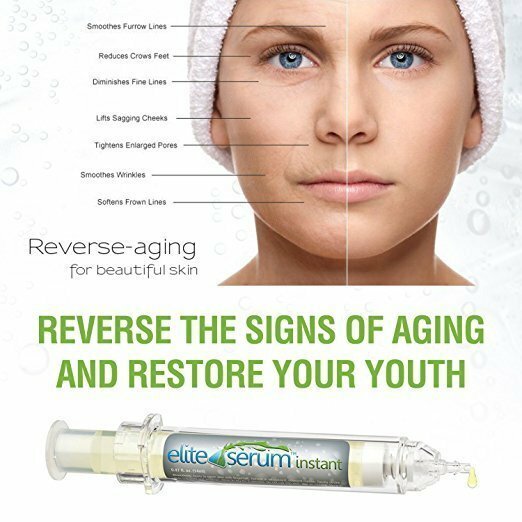 When you are in need of an instant lift in the eye area, reducing the signs of aging, then the Elite Serum Instant eye lift gel is just what you’re looking for. Derived from the same formula as our top seller Elite Serum Rx, this eye gel was studied to provide an observable and measurable decrease by over 50% in the appearance of fine lines and wrinkles in just ten minutes after application. Use it for a temporary lift in the morning, going out at night, or any special occasion when you quickly want your skin to look its best. A healthy alternative to surgery or cosmetic injections, users of Elite Serum Instant can expect a dramatic reduction in crow’s feet and wrinkles around the eyes, restore a youthful glow to the skin, an improved skin texture, and an increase in firmness and elasticity. 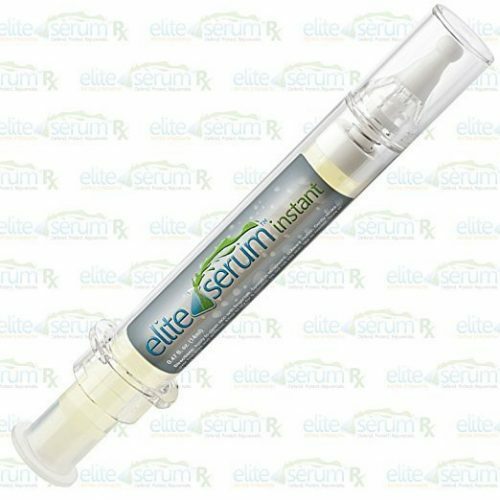 Additionally, with the proprietary blend of powerful peptides in this serum, dark circles and puffy bags under the eyes are considerably diminished. 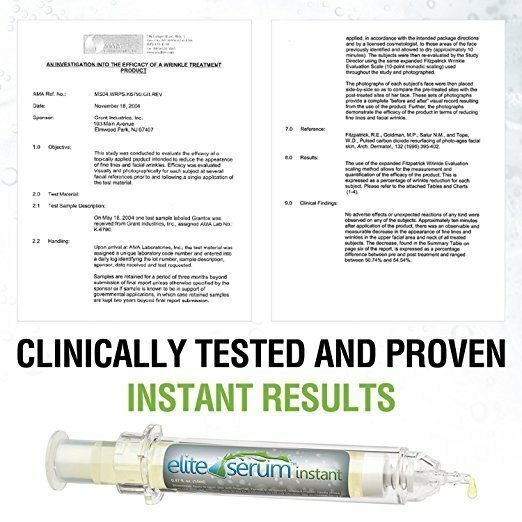 Keep a syringe of Elite Serum Instant handy for those needed moments and find out what this scientifically proven formula can do for you! 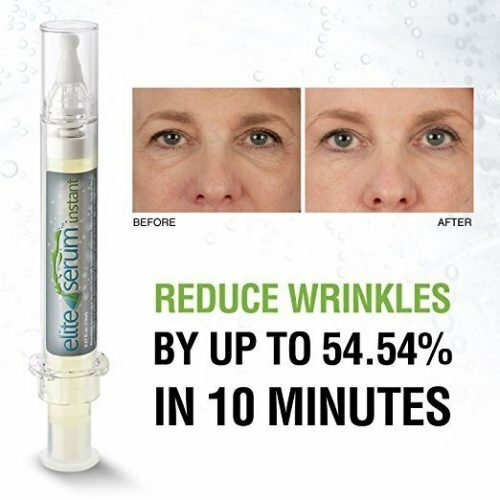 Apply to clean skin with fingertips. Spread in an upward, outward motion. 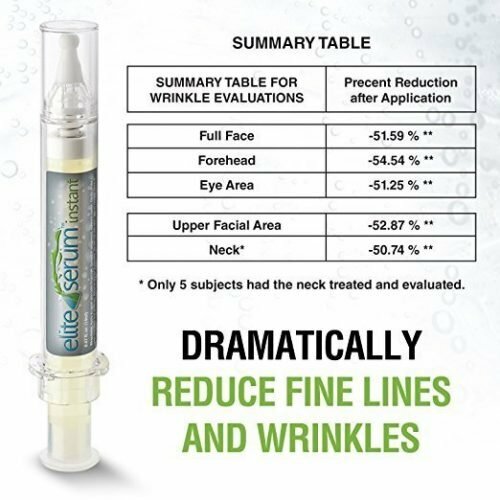 Gently stroke over fine lines and wrinkles. 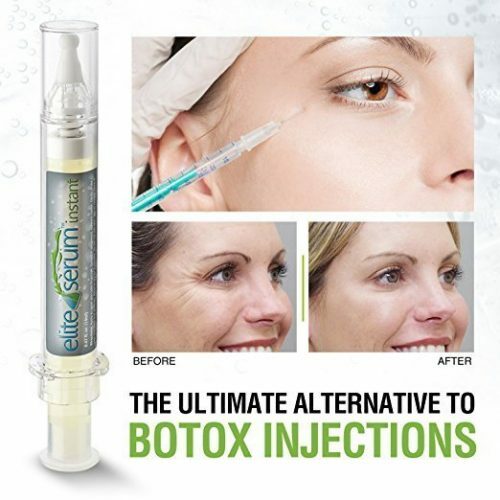 Purified Water (Aqua), Polysilicone-11, Laureth-12, Cyclopentasiloxane, Isododecane, Polymethylsilsesquioxane, Disiloxane, Steareth-21, Glycerin, Aminobutyric Acid, Barium Sulfate, Panax Ginseng Extract, Portulaca Oleracea Extract, Centell Asiatica Extract, Hydroxypropyl Cyclodextrin, Palmitoyl Tripeptide-38, Dipeptide Diaminobutyroyl Benzylamide Diacetate, Acetyl Hexapeptide-30, Arginine, Caprylyl Glycol, Phenoxyethanol, Ethylhexylglycerin, Carbomer, Triethanolamine.